We all need a little help on How to Break Weight-Loss Plateau and ways to get past it. During the holidays it is hard to stay focused on weight-loss diets, exercise routines, and healthy eating habits. I’m here to help you get back on track, explain what weight-loss plateau is, and provide 10 of my best tips for you to get started with your new weight-loss goals. Weight-Loss Plateau happens when you are still trying to lose weight and no longer can. If you are still following the same diet plan and exercise routines, but yet the numbers on the scale stop going down, you have hit a weight-loss plateau. Don’t let this discourage you. It happens to us all at some point. There are ways around it, I promise! Weight-loss plateau is perfectly normal and just means that it’s time to adjust a few things such as calorie intake, increasing protein, and mixing up your workout routines. Losing weight causes your metabolic rate to slow down, meaning your body starts burning calories at a slower rate as well. Simply put, when you weigh less, you burn less. You may have noticed that in the very beginning of your diet plan you lost the most, but then you gradually stopped losing weight although your diet stayed the same. The same number of calories that produced your initial loss may now just be maintaining your current weight. If you want to continue losing weight, you’ll have to increase the calories you burn through physical activity or simply reduce the number of calories you eat throughout the day. So here we are, we initially lost weight from our lifestyle changes and eating habits and now those changes are no longer helping with our weight-loss. How to break weight-loss plateau has a simple answer; make new lifestyle changes and once again, decrease you calorie intake even more. As you lose weight, your body requires fewer calories to function. Whatever your calorie intake is now, try decreasing that amount by 100-200 calories per day. Along with adjusting you calorie intake, try changing your workout to include a new physical activity like hiking, riding a bike, or playing tennis. When you’ve reached a point where you can no longer lose weight it’s time to re-adjust your diet, by decreasing calories. It is easy to over-serve yourself at meal times when just eyeballing it. Try getting yourself a food scale and portion size cups. Following the standard portion sizes of foods that you eat can greatly reduce your calorie intake. If you eat fewer carbohydrates and more protein, switch it up; eat more healthy carbs, and eat less protein. If you are eating little fat in your diet, consider adding some healthy fats such as olive oil, coconut oil, and nuts.. Many people who have tried Ketogenic Dieting have successfully lost weight. Leaving carbs out of your diet and replacing them with good fats causes your body to go into a metabolic state called ketosis. Here is a great video that explains it more in detail. Let’s face it, our bodies adjust to normality. Don’t make the same mistake I made by sticking to the same exercise routine everyday or every time you workout. Your body gets used to routine exercises and may not be as beneficial for you as time goes by. Try mixing it up. 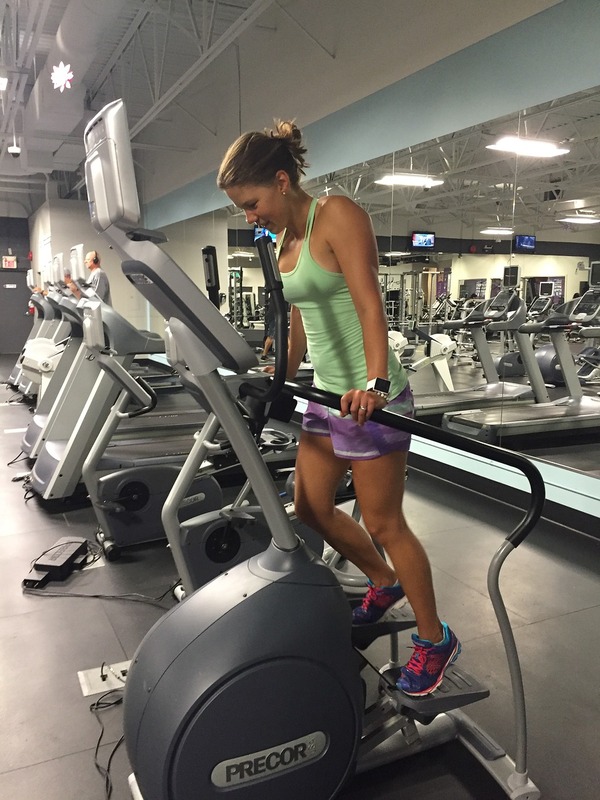 For indoor exercise, if you use a treadmill, try uphill running 30 seconds, then fast pace walking for 1 minute. Continue the run/walk cycle for about 5 minutes. This will get your heartrate up which can boost your metabolism. Each day you can try increasing the run/walk cycle by adding additional minutes. Being sleepy slows down your metabolism, making it harder for you to stay on track with physical activities. It will also make you more hungry, or at least make you think that you’re hungry. When our minds and bodies are deprived of sleep, we tend to want to snack more so we can stay more alert. Lack of sleep has also shown to affect the secretion of a hormone that regulates the appetite, known as cortisol. This can cause one to still feel hungry even when they have had enough to eat. Staying hydrated plays a very important role in weight-loss. You should drink plenty of water and other healthy alternatives such as cucumber water. The nutritional benefits from cucumbers is unbelievable! Add some lemon and ginger to it and you will greatly increase the benefits from drinking your water! Drinking water can also help you feel full, taking the edge off of hunger in between meals. Water is also an “empty calorie” drink, provides the body more energy and assist in boosting the metabolism. Protein is very important to consider when dieting. Protein can boost the metabolic rate, reduce appetite and can change several weight-regulating hormones. 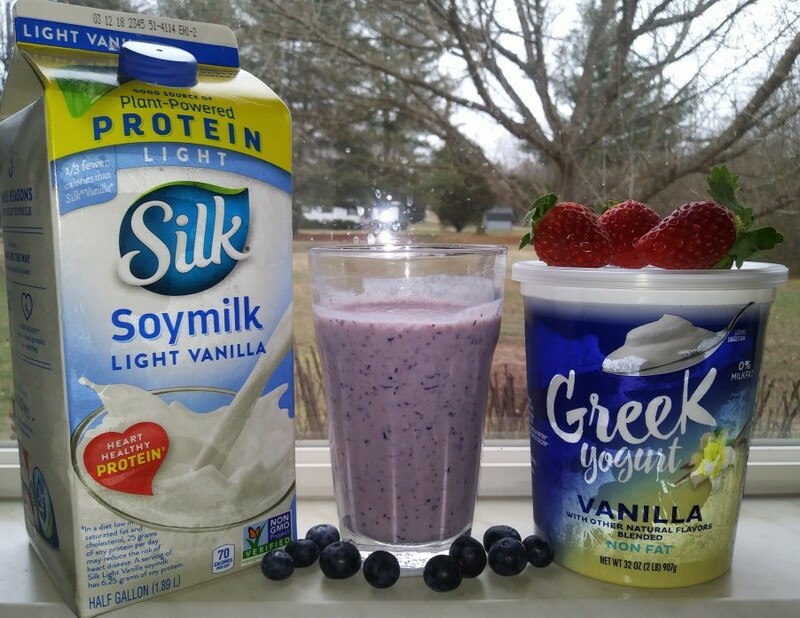 Lose weight and belly fat by increasing the amount of protein during the day. My great recipe for the Best Homemade Chicken Salad is low fat, low calories, and low carbs! The chicken is even fried in an air fryer! Focusing more on gaining muscle mass using cardio exercises can help you with your weight-loss goals. Using high-intensity interval training as your primary form of cardio has been shown to preserve muscle mass and enhance fat for fuel. Eating enough calories to fuel muscle building is a key factor. Consume more healthy fats and protein as mentioned earlier and cut carbs while also changing fitness routine to include more cardio can help you reach your goals much faster. Snacking between meals can destroy a weight-loss diet! You may not realize it, but calories add up fast just from eating chips, popcorn, or heavily salted nuts between meals. Beware of what type of snacks you eat. Try finding low calorie, low fat snacks such as raw veggies. This alone, can make a big difference in your weight. Tracking what you eat during the day by writing it down in a daily journal can also help improve your diet. Keep up with how many servings of fruit, vegetables, dairy products, protein (meats, nuts, beans), sweets, by using portion cups and a food scale. This can help you monitor what and how much you are eating. It is also a good way to study your diet and try changing certain foods for other type of foods. Let’s face it, most of us enjoy a drink now and then whether it be a glass of wine or a mixed drink. Avoiding or at least limiting your alcohol intake can play a big role while trying to lose weight. Wine and mixed drinks contain a lot of carbs and slow the metabolism down tremendously. Managing stress sometimes is more difficult because we live in a fast paced world. There seems to never be enough time to get everything done! There’s those that are in bad relationships, and those trying to go to school and work full-time jobs or raise children. Stress limits our sleep and can alter our eating habits along with hold us back from daily workouts. Managing stress simply means, relax and take some time to calm the brain, meditate, take deep breaths to lower your heart rate, go for a quiet walk for a lap or two. You’ll be amazed at the difference this can make in your life and for your healthy weight-loss goals. As you can see there are many things you can do to help resolve the issues of hitting a weight-loss Plateau, so don’t get discouraged. Change a few things in your diet, adjust your calorie intake, add more cardio to you workouts, and set new goals. It is perfectly normal to reach the point where you stop losing weight even though you are still on your diet. You just have to have faith, make a few lifestyle changes and watch the numbers start to go down again on the scale. Thank you so much for visiting my site and reading my blogs. I hope you found this informative and interesting. I would love to hear your thoughts. Please leave me some comments below and offer any feedback that you may have on your experiences with weight-loss Plateau. I’m here to help in any way I can and enjoy hearing what others have to say. If you’re interested in Keto dieting, please visit my blog about kale. Kale is keto-friendly, a great weight-loss fiber food, and easy to prepare. It is even considered one of the world’s greatest superfoods. Healthful Pursuit has launched this great Keto Diet for Beginners program by Leanne Vogel that has shown proven success for people worldwide. Kale can be made into kale chips, dehydrated or baked, added to smoothies, or included in salads. I live in North Carolina and I recently graduated in May 2017, from Davidson County Community College with a degree in Network and Cyber Security. I love working on websites and doing research which brings me here. I didn’t know much about fitness and everything involved in it to be fit. I soon realized that being in my 40’s and staying in shape is going to take a lot more work and support. That’s when I decided to build my website around my personal problem areas, with hopes that I will not only get rid of mine, but help others as well. What is Lean Muscle Mass & How to Get it! 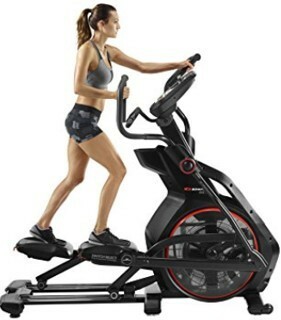 Bowflex Reviews – BXE116 vs BXE216 Elliptical; How are they different? Lots of great tips here. Hitting a plateau is hard because it’s easy to become discouraged, want to give up, and then eat more. I didn’t realize that lack of sleep affected our metabolism that way. Thanks! I’m glad you stopped by again. You are right, when you stop losing weight even though you are still trying it does become very discouraging. I found this tips have helped me succeed with my weight-loss goals and wanted to share it with others. You are very welcome! I love smoothies! I’ve even created a few of my own that you may enjoy. One of my favorites; CinnaSugar-n-Oats Smoothie. I mostly use my ginger in my Lemon & Ginger detox, but I plan to start adding some to my smoothies as well. Thanks for your thoughts. Please visit again soon. I always thought snacking encourage weight loss as long as portion control was maintained. However this makes sense especially if your body has become accustom to your habits. Alcohol is feeling and has a lot of empty calories. I have used to be heavier but I am currently at the same weight for as long as I can remember but still not at my ideal weight. Hi protein diets has always help me lose weight, using these methods in conjunction makes a lot of sense to me. Thanks for your feedback. Snacking between meals is okay as long as you are mindful of the types of food that you eat between meals. Raw vegetables is the best snack, even better than fruit. Fruit has a lot of sugar and carbs. I’m glad you found my article helpful. You may also be interested in my article for “3 Ways to Get Rid of Belly Fat.” Please check it out and let me know what you think. Really enjoyed your post. I really enjoyed (and dreaded) the part about not eating between meals. I do have a hard time with that, but it is getting better. The list you made is a very sensible list. Is this something that you believe should happen in this order? or does the order not matter? Again, thank you for the post. I’m glad you found my article enjoyable. Snacking is one of those weakness that most of us share. It’s easy to do and not realize we’re doing it. If you add more water and fiber to your meals, you will find yourself full for longer. This can also help keep the snacking down. The order of my list is of no importance. I was only listing tips to help others get started in the right direction to start losing weight again. That is a great question and I’m glad you asked. I enjoy getting feedback and knowing what others think. Thanks for visiting. If you found this article interesting, you may also enjoy my”3 Ways to Get Rid of Belly Fat” article. I am experiencing a weight loss plateau for 3 months now. Thanks for visiting. I think making these changes will help you a lot! Sometimes that’s all it takes. Just adjust your calories and add more cardio to your exercise routines can make a difference. Getting enough sleep and not snacking are also very important! I wish you the best of luck. Please let me know if I can help in any way. I’m here to help. Been in a plateau for 2 weeks now, thanks for some inspiration! Going to go drink a glass of water! Thanks for visiting! I hope you start losing weight again soon. I’m sure by making a few changes in your eating habits and exercise routines you will see a difference. Check out my article for “Best Way to Drink Green Tea for Weight Loss“. The recipe has really helped me. Please let me know if I can help in any way. I’m here for you!